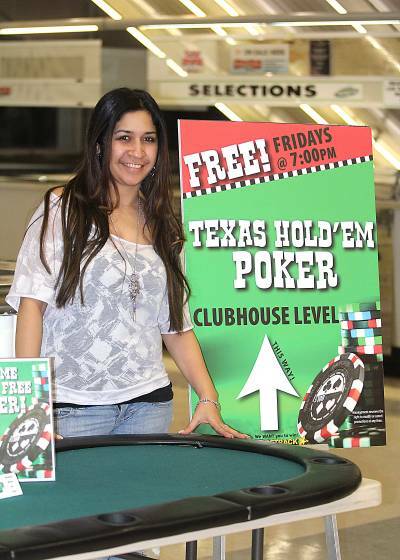 FREE Texas Hold'em Poker Tournaments at the Meadowlands Racetrack every Friday at 7PM - 11PM. Sit back, relax and let our Dealers shuffle your way to free prizes and entries into major casino poker events. New players can pre-register or walk-up. It is a great way to meet new friends, play poker at a competitive level for free, and sharpen your poker skills, without emptying your pocket book. For more info visit http://www.WorldFreePoker.com . $250 Monthly Voucher Tournament - It only takes one win to qualify for the Meadowlands $250 Voucher Prize! 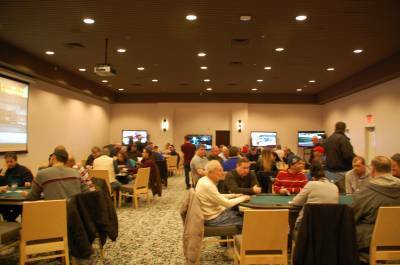 Come in first place in any nightly poker tourney to qualify. Qualifiers play in the monthly Voucher Tournament. The Meadowlands Racetrack is located at 1 Racetrack Dr, East Rutherford, NJ 07073. The World's Greatest Live Harness Racing. State of the art entertainment center featuring live harness racing, entertainment, dining, events and family-friendly activities! With Day and Night Simulcasting, Entertainment, Dining, Sports Bar and Events. More than horses; they are a state of the art venue for all occasions. Free Poker, Free Registration, Free Parking. It's 100% FREE to play and you have a shot of winning great prizes and seats in major Atlantic City casino poker events! 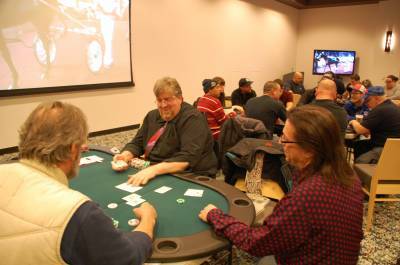 Our Poker dealers are always available and work for tips, so you don't have to deal cards yourself or manage the pot. Must be 21 years or older to play.